The Lansdowne Children's Centre Charity Motorcycle Ride is a fully police escorted ride in support of our Every Kid Counts Program. The ride follows a scenic route through city and country settings, ending at the Brantford & District Civic Centre with a celebration BBQ lunch and entertainment.Proceeds raised through individual pledges and registration fees are donated directly to the Every Kid Counts Program at Lansdowne Children’s Centre. Every dollar raised helps children with special needs gain independence, confidence and realize their dreams. Every Kid Counts is an initiative to promote the inclusion of children and youth with special needs in local recreation programs. 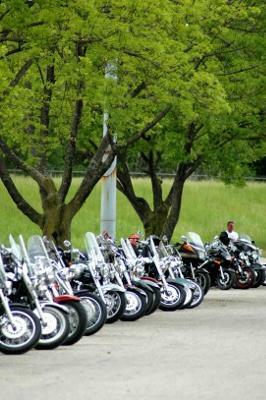 Admission: $25.00 per Rider, $10.00 per passenger, which includes BBQ lunch and entertainment. Join in and write your own page! It's easy to do. How? Simply click here to return to Upload your Charity Ride Information.